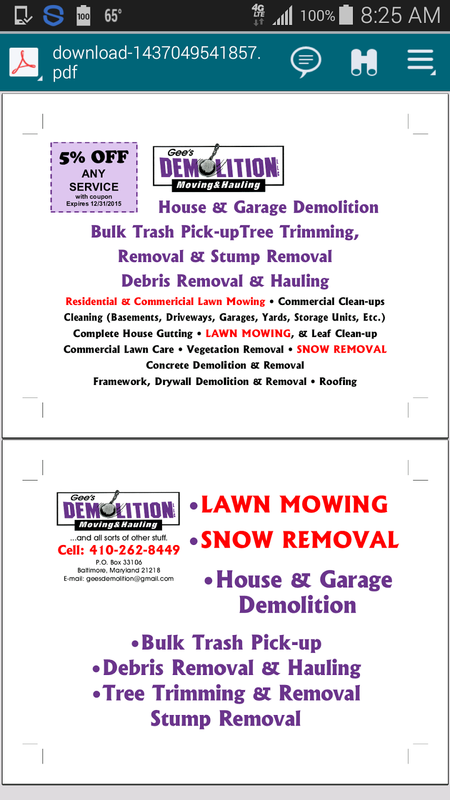 Gees Demolition: Gee's Demolition NEW post cards! 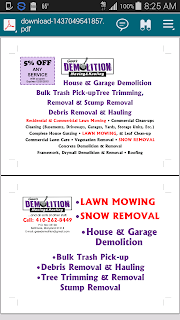 Gee's Demolition NEW post cards! Came over to give me an estimate. Price was fantastic. Asked if he can do it now and "of course" he said. Within 1.5 hours he had junk loaded and had swept the area,... Fantastic pricing ... very very reasonable.